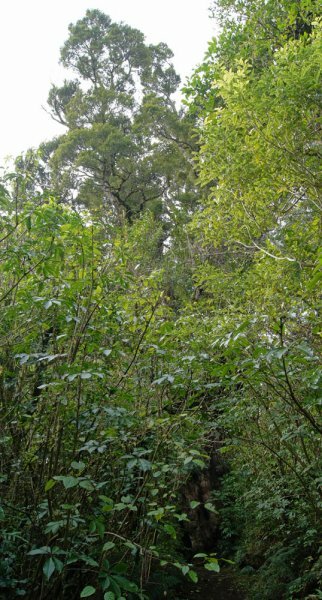 Dennistoun Bush is a partially logged remnant of podocarp-broadleaf forest making up part of the 783 hectare Peel Forest Park Scenic Reserve. There are many large, but short, kahikatea, matai and totara visible on the track looping through the bush. 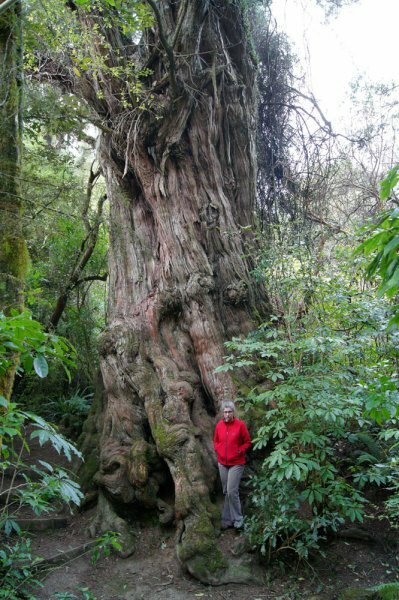 The largest tree is a massive, old, gnarly totara on one bank of an old watercourse. 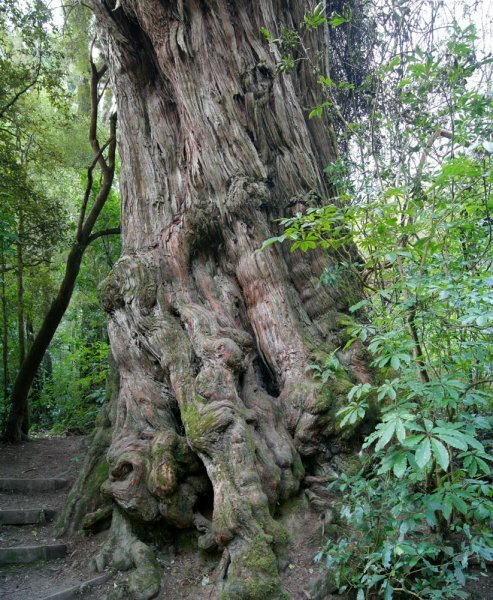 This tree was recorded in the Burstall and Sale 'Great Trees of New Zealand' book with their entry for the nearby feature totara at Peel Forest Park, see record CR/1009. The 1984 book records a girth of 10.3 m for this tree which then shows a converted diameter of 382 cm, however, this is an error as it should be 327 cm. The tree, with its position straddling one bank of an old stream bed, is hard to measure for girth. The girth recorded here (10.7 m) was taken 1.4 m above the highest ground level next to the tree. At the nominal mid point, the girth was measured at 11.24 m, equivalent to a diameter of 358 cm. Nevertheless, the higher, smaller, girth measurement is the second largest known for a totara, after the Pouakani totara, WKR/0757 (Smillie, M. 2012). Ref: 'Great Trees of New Zealand' Burstall, S.W. & Sale, E.V. 1984, page 216. Taken from the highest side of the slope. Very old and gnarly, but still showing plenty of foliage (2012). 01 Jan 1970 Burstall, S.W. Just past the intersection of the loop track, on the north branch, about 15 minutes from the Blandswood Road entrance to the track. Unmissable.